December is right around the corner and with it comes the busiest time of the year! But today´s post is to remind you that amidst all that hassle and holiday busyness, you shouldn't let that stop you from finding the time to create beautiful things and work on some crafty projects. Two years ago, I committed to journaling EVERY SINGLE DAY and took part in the December Daily challenge. I wanted to have something that I could cherish forever and that would help me remember my best (and sometimes worst) moments spent with the people I cared about. Now I know what you might be thinking, but how on earth will I find the time to work on a project and more so if it´s a daily project? It´s pretty clear that if you´re going to try this challenge you need to learn all about it beforehand. This will save you time afterwards if you find yourself getting stuck or lost. I would recommend checking out the creator and founder´s website to get the main focus of what this whole project is about and first figure out if this is something for you and if it´s something you will enjoy doing. And if you´re anything like me (a creater at heart) I´m almost positive it will be! Those who know me, know that I love the community behind any project, idea or theme. It´s wonderful to start and get excited when embarking on a new creative project, but it´s even better when you get to share that excitement with like-minded people. 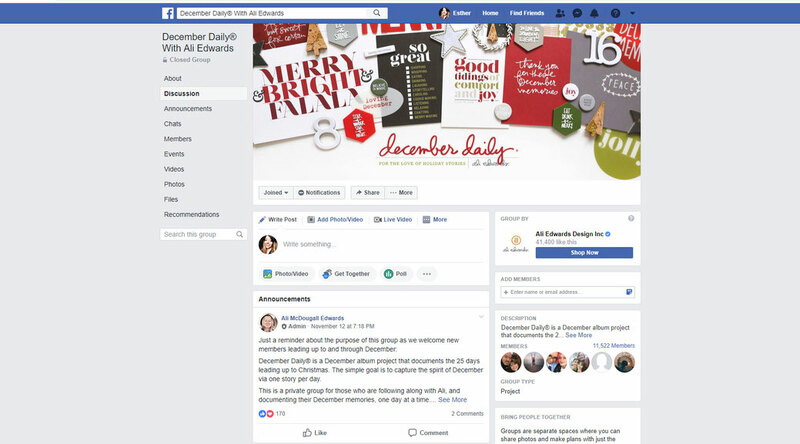 So head on over to the December Daily FB Group and chat it up with some people about your ideas or questions. You will also be getting tons and tons of inspiration from people who have already participated in this project in the past years. You´ll seriously be amazed at all the original concepts some people come up with, and I specially love it when they put their own spin on the topic. If you still need MORE inspiration or are looking for some great printables to use in your own December Daily, Pinterest is the place to go. 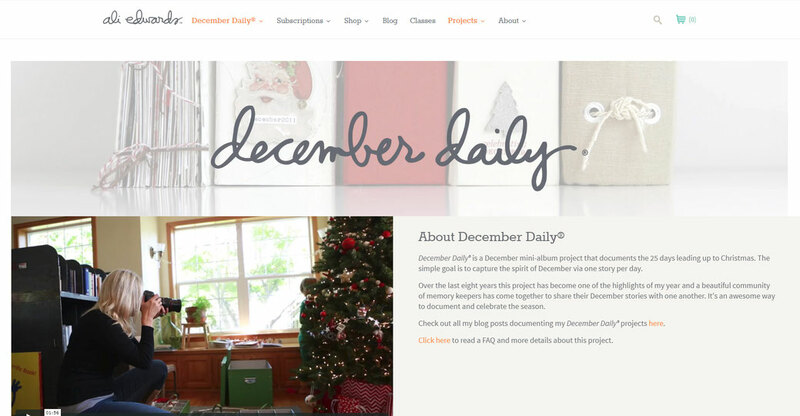 Just type in “december daily” and you´ll find SO MANY resources and things you can use. I created my own DD Board with my favorite pins, go ahead and check that out here. And speaking of printables, you can download my holiday gift tracker to include in your albums, journals or planners too! See here. 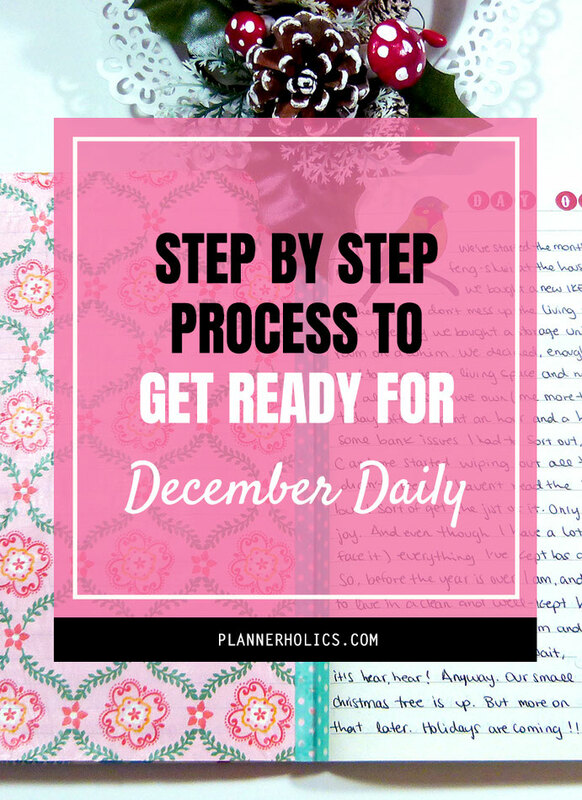 After you´ve absorbed all that inspiration and gathered all the information it´s time to make a decision about your personal approach to designing your very own December Daily. Take out a piece of paper or a notebook, get a writing utensil and start brainstorming all of those ideas. Do you want to use a journal? 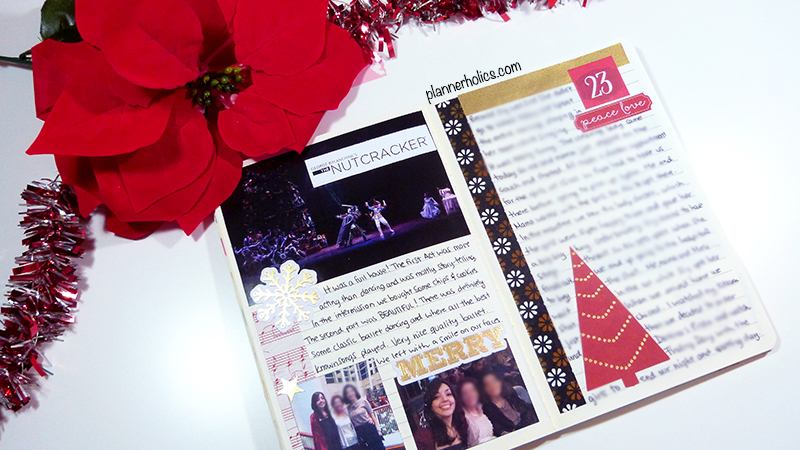 Will you make a scrapbook? 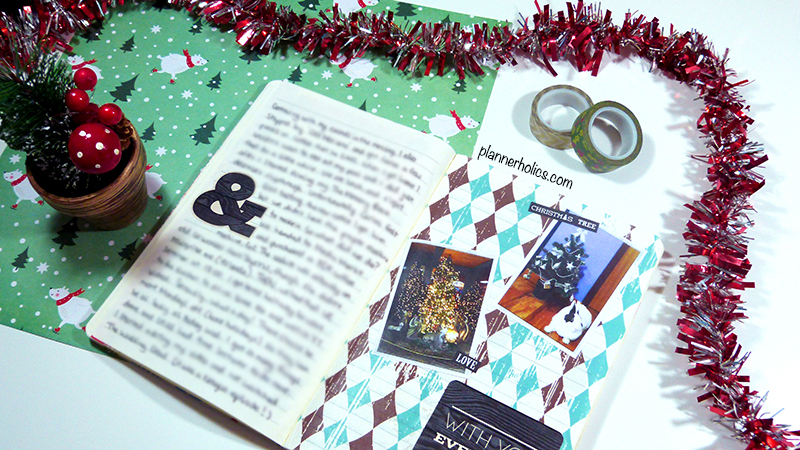 Maybe you want to repurpose an old planner that you never got around to completing? Whatever your choice, make sure it makes you excited and super motivated to use it. Doing things for the sake of doing or copying someone just because they love it, doesn´t mean you´ll enjoy it too. This is afterall a personal project that you should look forward to creating and later on reviewing, it should make you feel excited. So make sure whatever you choose to work on, that it makes you happy. Go through your stationery collection, chances are you´ve already got plenty of goodies to choose from. If not, I´m sure your closest craft store is already jam-packed with christmas goodies you can get. You don´t have to go all crazy with supplies either, heck it doesn´t even have to be christmas themed if you don´t want it to be. 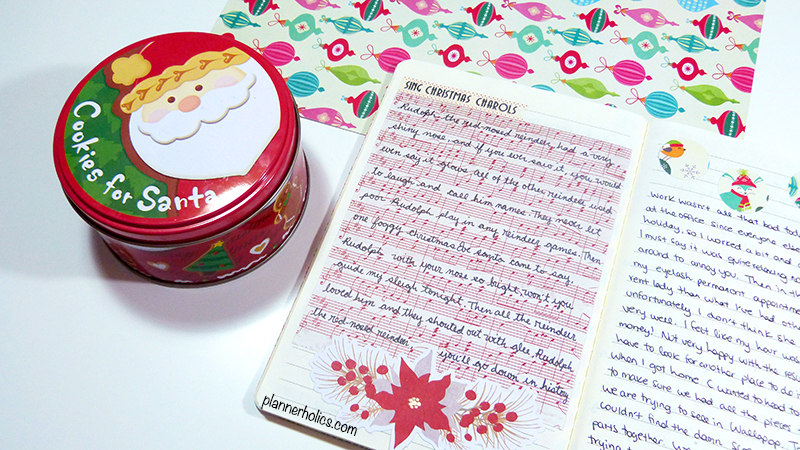 Personally I find that a few christmas papers, some washi and stickers are enough. 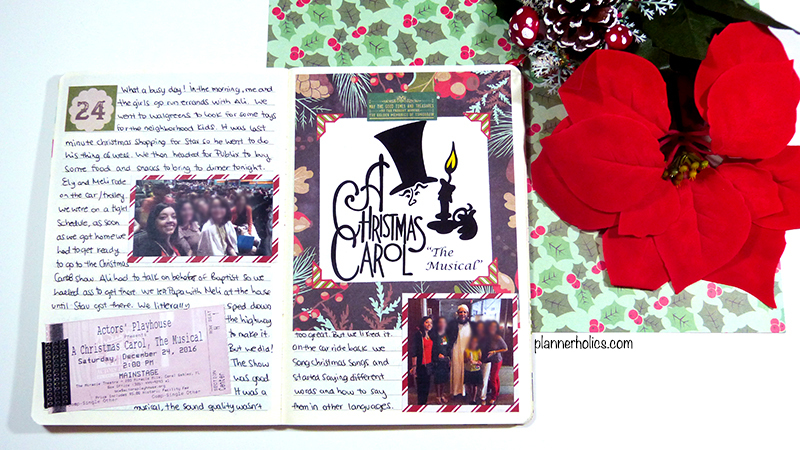 Here´s my video on all the supplies I gathered to make my December daily journaling project. Get a head start. The trick to keeping up any long-term project is working ahead of time to make it easier to complete later on. Start setting up your base or also known as your foundation pages. I would pre-decorate a few pages BEFORE they actually happened so when the “day of” would take place all I had to do was fill in the story for that day and journal. If you´re making an album, you can create your “templates” so that all you have to do is include your pictures as you print them and a little highlight of the day. Now that you´re all setup and you have your workstation full of supplies, simply enjoy the season and be aware of all that surrounds you. Each day you can add a little knick-knack to your project, record some highlights from your activities and document your time. Once you complete it you will have the best memorabilia to treasure forever. Watch my full flip through below!